BREAKING: Mueller concludes Russians posted mean things on social media about Hillary Clinton. US Special Counsel chief investigator Robert Mueller has announced the indictment of 13 Russian nationals and three Russian entities, accusing them of interfering in the 2016 presidential election and (get this) operating fake social media accounts. 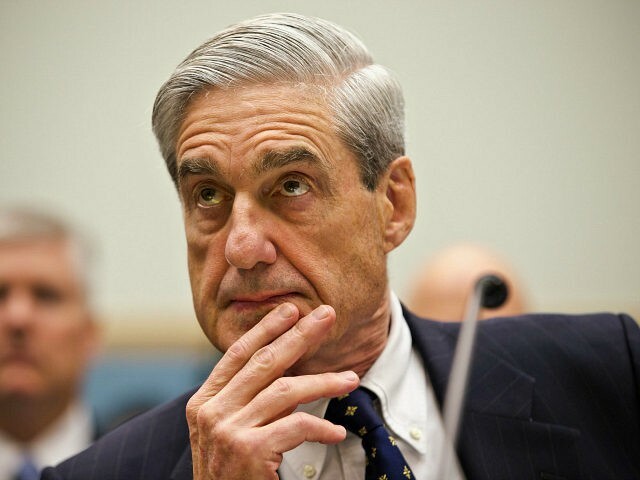 After over one year of Russiagate hysteria with never ending storylines of treason, collusion and all out panic that America’s democracy had been hacked, we are left with Mueller concluding that some Russian guys created social media posts that mocked Hillary Clinton. Give me an f***in break! In the indictment announced on Friday – the first criminal case to accuse Russians of seeking to influence the outcome of the U.S. election and support Donald Trump – Mueller describes a sweeping, years-long, multimillion-dollar conspiracy by hundreds of Russians aimed at criticizing Hillary Clinton and supporting Senator Bernie Sanders and Trump. He charged 13 Russian nationals and three Russian entities and accused them of defrauding the U.S. government by interfering with the political process. It gets better: the defendants reportedly worked day and night shifts to pump out messages, controlling pages targeting a range of issues, including immigration, Black Lives Matter, and they amassed hundreds of thousands of followers. They set up and used servers inside the U.S. to mask the Russian origin of the accounts. Ultimately, and this is the punchline, the goal was to disparage Hillary Clinton and to assist the election of Donald Trump. In other words, anyone who was disparaging Clinton, may have “unwittingly” been a collaborator of the 13 Russian “specialists” who cost Hillary the election. The Russian organization named in the indictment – the Internet Research Agency – and the defendants began working in 2014 to interfere in U.S. elections, according to the indictment in Washington. They used false personas and social media while also staging political rallies and communicating with “unwitting individuals” associated with the Trump campaign, it said. The Russians “had a strategic goal to sow discord in the U.S. political system,” according to the indictment in Washington. The Russians also reportedly bought advertisements on U.S. social media, created numerous Twitter accounts designed to appear as if they were U.S. groups or people, according to the indictment. One fake account, @TEN_GOP account, attracted more than 100,000 online followers. The Russians tracked the metrics of their effort in reports and budgeted for their efforts. Some, as described below, traveled to the U.S. to gather intelligence for the surreptitious campaign. They used stolen U.S. identities, including fake driver’s licenses, and contacted news media outlets to promote their activities. What would the crime be Mr. Mueller: ‘Posting mean things on the internet about Hillary Clinton’? Defendant ORGANIZATION had a strategic goal to sow discord in the U.S. political system, including the 2016 U.S. presidential election. Defendants posted derogatory information about a number of candidates, and by early to mid-2016, Defendants’ operations included supporting the presidential campaign of then-candidate Donald J. Trump (“Trump Campaign”) and disparaging Hillary Clinton. Defendants made various expenditures to carry out those activities, including buying political advertisements on social media in the names of U.S. persons and entities. Defendants also staged political rallies inside the United States, and while posing as U.S. grassroots entities and U.S. persons, and without revealing their Russian identities and ORGANIZATION affiliation, solicited and compensated real U.S. persons to promote or disparage candidates. Some Defendants, posing as U.S. persons and without revealing their Russian association, communicated with unwitting individuals associated with the Trump Campaign and with other political activists to seek to coordinate political activities. Defendants, posing as U.S. persons and creating false U.S. personas, operated social media pages and groups designed to attract U.S. audiences. These groups and pages, which addressed divisive U.S. political and social issues, falsely claimed to be controlled by U.S. activists when, in fact, they were controlled by Defendants. Defendants also used the stolen identities of real U.S. persons to post on ORGANIZATION-controlled social media accounts. Over time, these social media accounts became Defendants’ means to reach significant numbers of Americans for purposes of interfering with the U.S. political system, including the presidential election of 2016. Certain Defendants traveled to the United States under false pretenses for the purpose of collecting intelligence to inform Defendants’ operations. Defendants also procured and used computer infrastructure, based partly in the United States, to hide the Russian origin of their activities and to avoid detection by U.S. regulators and law enforcement.